The historical Roman town has been busy at work and new exciting buildings, squares and public parks have bloomed across the city. Since my first trip to Zürich in 2014, a lot has happened around good old Turicum. After a compelling trip organised by Visit Zürich and my friend Philipp Heer, we were able to visit some of the newest, most interesting and uplifting places of the city. 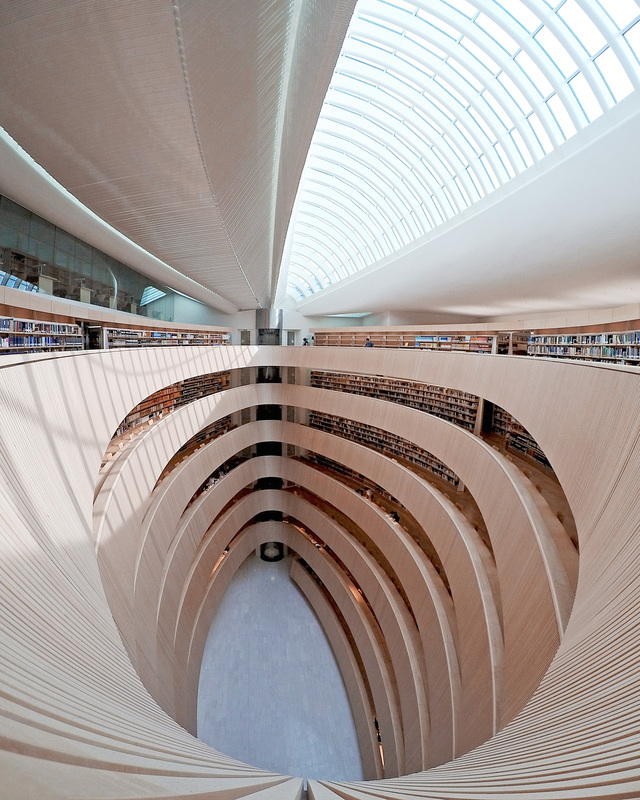 Flitting hither and thither, Roc Isern, David Basulto and me enjoyed the privilege of a tailored itinerary, access to Zürich’s gems and perhaps the most inspiring, the architects behind these amazing structures. If you are tremendously looking forward to a little exploration, Swiss cheese and white wine, Zürich has plenty of those to offer. 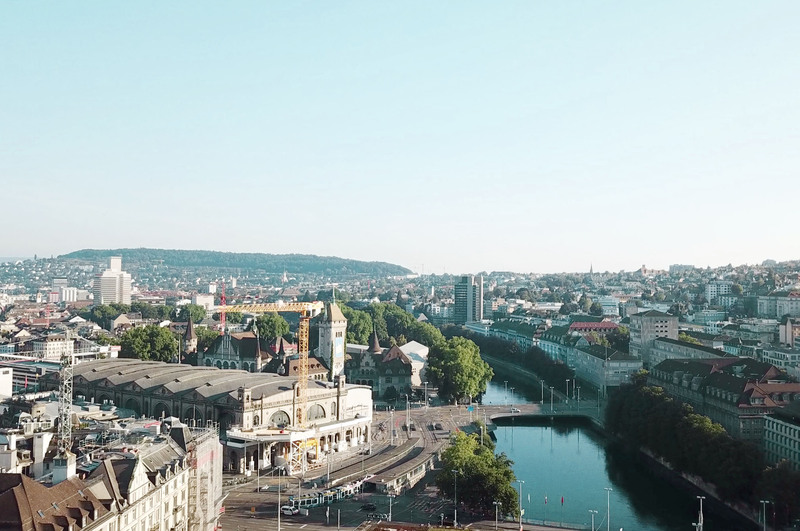 Because there is no better way to travel than with an architectural schedule, I made a list of my favourite places of Zürich so you can have some ideas for your next trip. 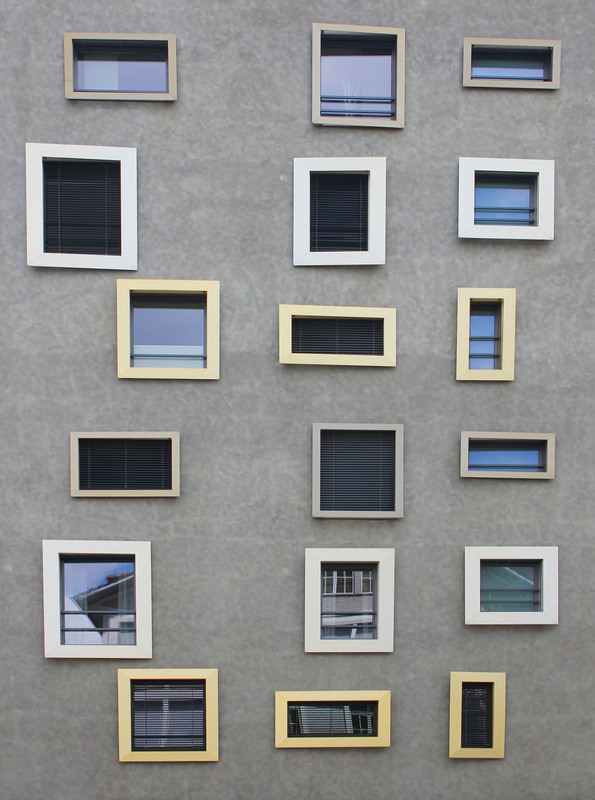 You can also download my Free Architecture Guide of Zürich (PDF). Let me know in the comments… which is your favourite place of the list? Note: Please don’t use any of these pictures without the consent of the owners. Description: First things first, Grossmünster Church (c1220), Fraumünster Church (c1250) and St Peterskirche Church (c1000) are (still) some of the most impressive buildings in Zürich. Before you continue reading make sure these are high on your priority list as much is to be learnt from them. Read more here. Description: This massive development occupies the former site of a paper mill near the Sihl river, which by the way is very cool – or not depending on your opinion – with the motorway on top. The best thing about Sihlcity? The not so obvious corners of the complex: the library, the elevators as seen from above and the car park. Read more here. 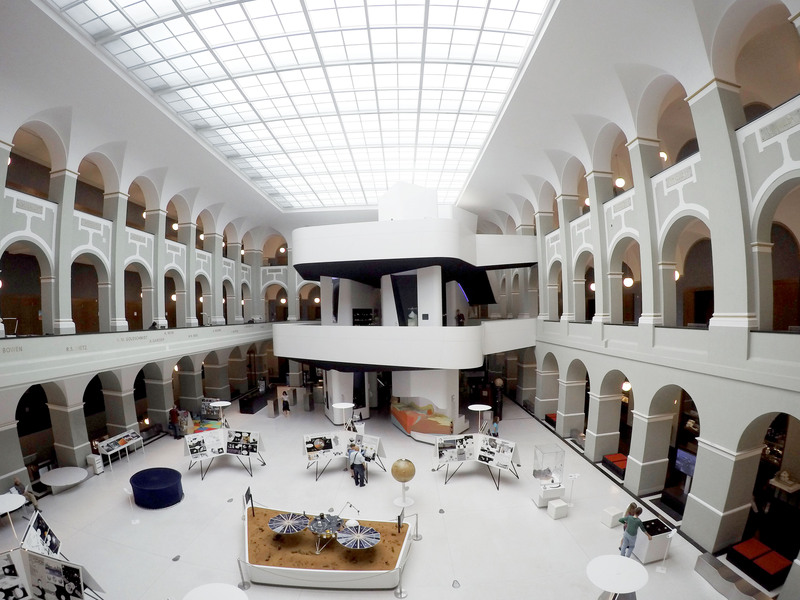 Description: While the exterior of the old building from Hermann Fietz (built in 1908) was untouched, the interior was transformed into an oval wonder of light and awesomeness. What is absolutely remarkable is how the structure (integrated as part of the shelves) blends with the old building to support the new addition of space. The result is as if the new parts were floating in the courtyard. Pay attention to the white beams, have you noticed them? Read more here. Description: Leutschenbach, an area experiencing wild growth, has plenty of offices and increasing housing projects. Leutschentower integrates both. This playful and distinctive tall tower boasts offices and public areas combined with residential use. Another wonderful project by the same architects is the Letzigrund-Stadion. Read more here. Description: Haus G is part of a new interesting building cooperative called Mehr als wohnen (More than housing). The main objective of the district is to transform the way we live and work towards a more sustainable and ecological approach. 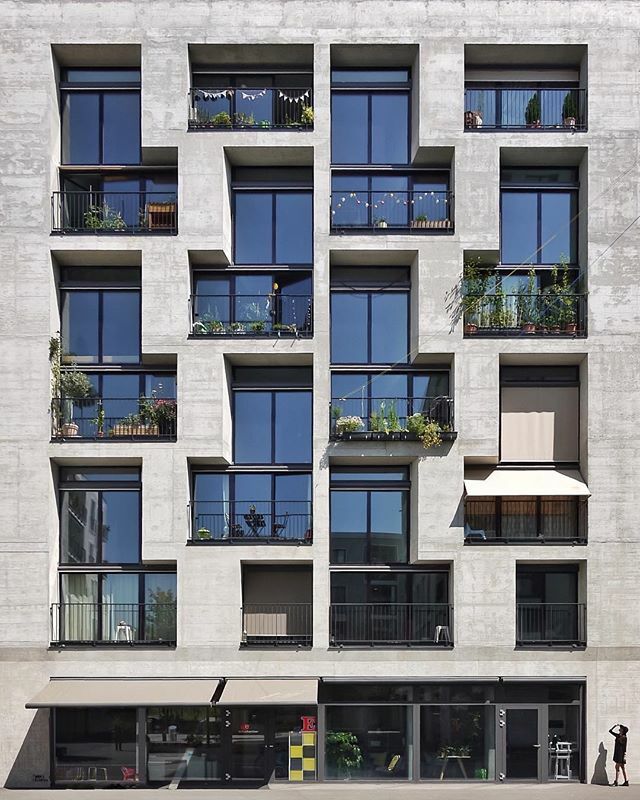 The Tetris-like façade is the result of oversized living spaces that aim to bring light into the deep floor plans. Read more here. 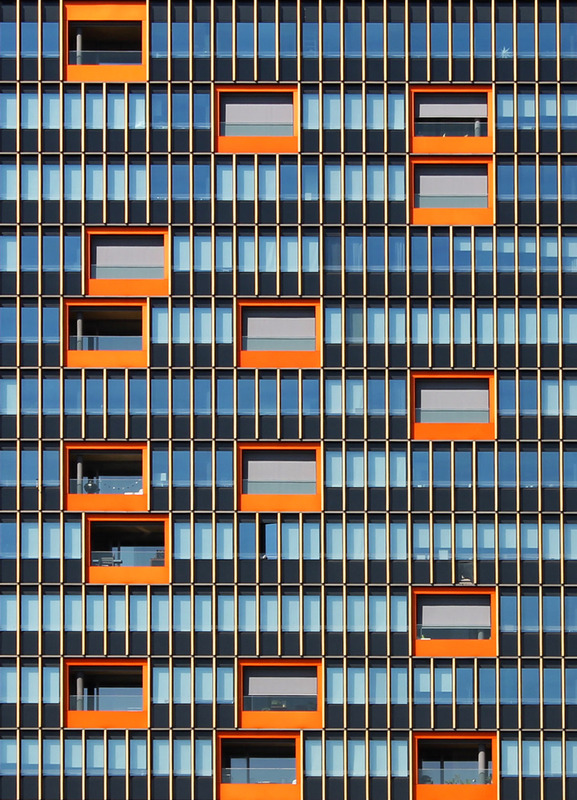 Description: Another interesting block in the Mehr als wohnen cooperative, this photogenic building by Müller Sigrist Architekten is one of many by the firm in the Hunziker-Areal. 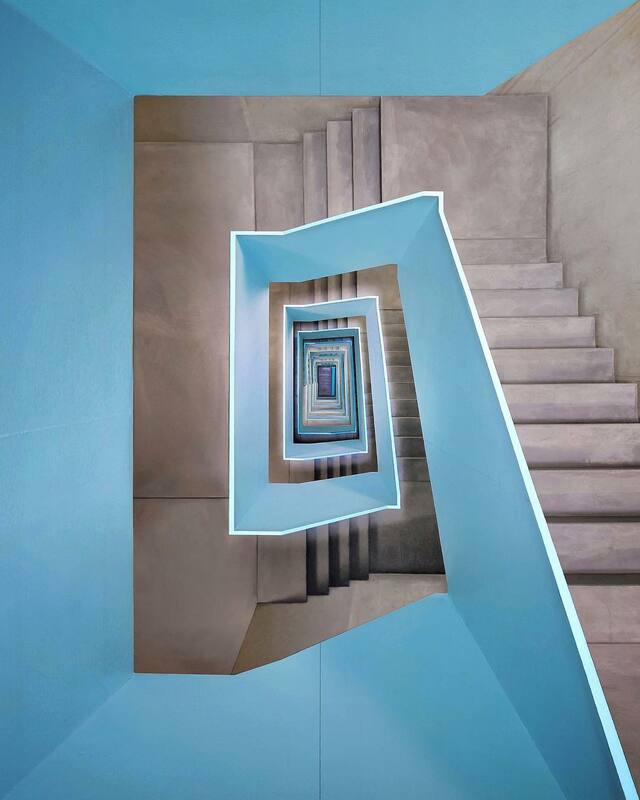 Located on the former site of the Hunziker cement factory, Haus G became so distinctive thanks to its living façade. The requirements of the masterplan included the definition of three main elements: the plinth (4.5 m high), the body and the roof. Read more here. Description: ETH Zurich (Eidgenössische Technische Hochschule Zürich) is one of the leading universities in Zürich and HWO is one of its recent additions of the Hönggerberg campus. HWO, which consists of three buildings, is also the largest student housing complex in the city. The psychological approach of the program (grouping activities together) and the energy concept (green in every possible way) have been thoughtfully arranged both in plan – 3 individual structures – and elevation – from public on the ground floor to private use on the upper floors. Read more here. Description: Camenzind Evolution had a difficult task for this building: an intensive market research on potential customers. Their lifestyle, income class and needs is what shaped both form and function of this residential block. Three specific target groups were identified and a bold design (with very striking interiors too) was applied in each case, going beyond the functional aspect of the structure. The maisonette names were: Classic, Industrial and Funky. Read more here. Description: The Swiss National Museum, a late 19th century beauty by Gustav Gull, was in need of additional space. 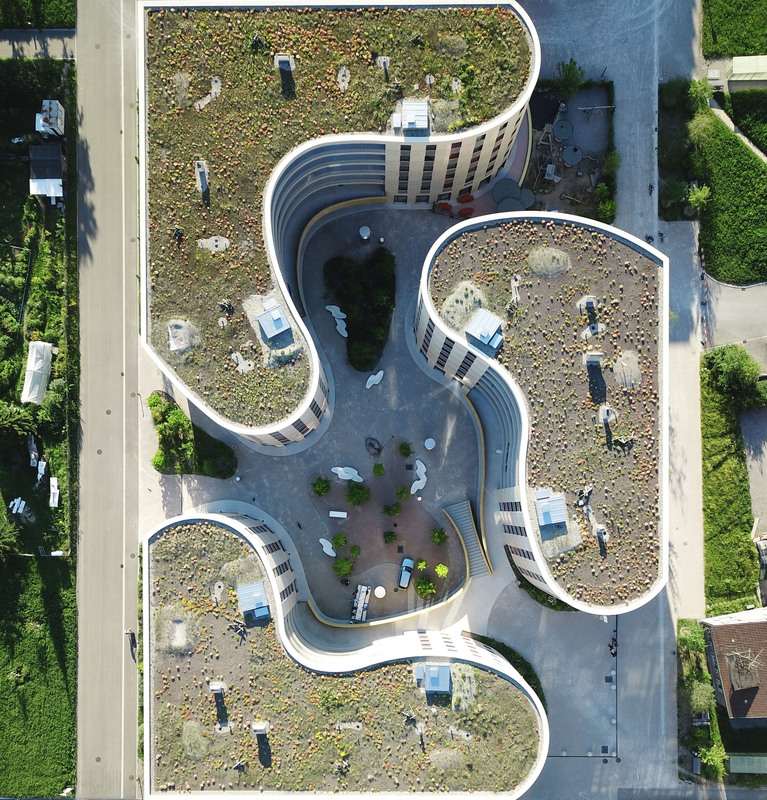 A new wing adjoining the Platzspitz Park was added in 2016 to solve this problem. 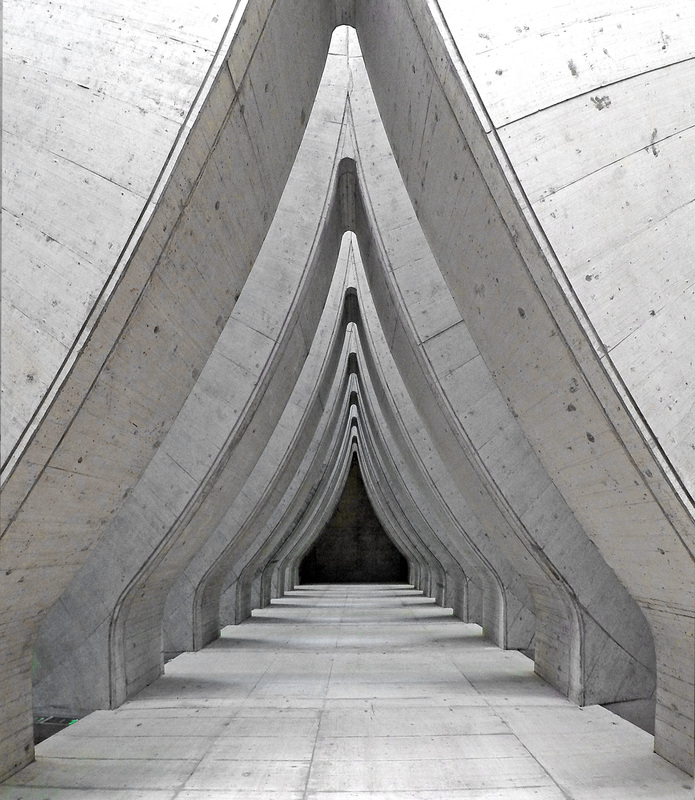 The new structure, a vast concrete monolith, will appeal to all Brutalist lovers. An effective intervention with its own modern character in my opinion. 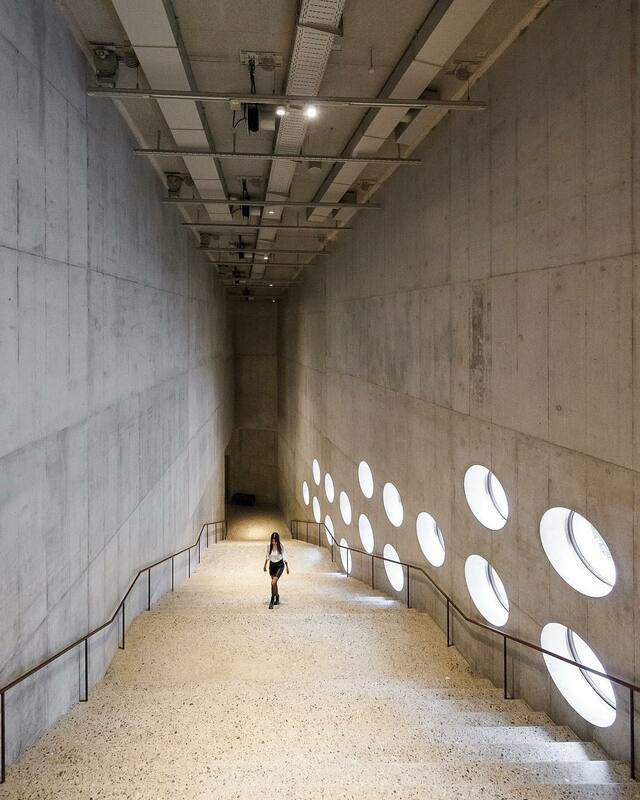 Christ & Gantenbein Architects, best known for their Kunstmuseum in Basel, have also a less known but equally superb structure in London: The stunning refurbishment of the Swiss Church. Read more here. Description: Zürich’s District 5, a traditionally mono functional industrial zone, is rapidly changing into a more mixed and culturally exciting area. 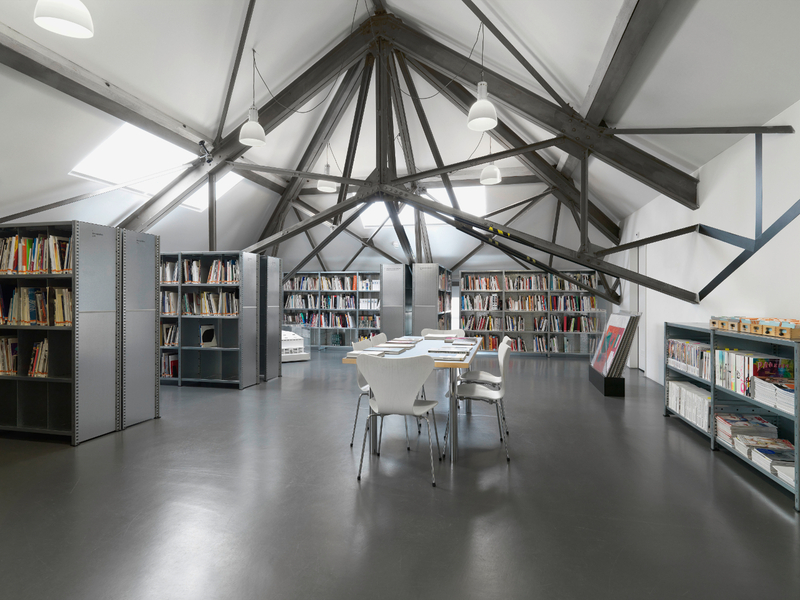 The former Toni milk processing building has been converted into a heaven of culture (Museum für Gestaltung Zürich), education (University of Arts) and housing. 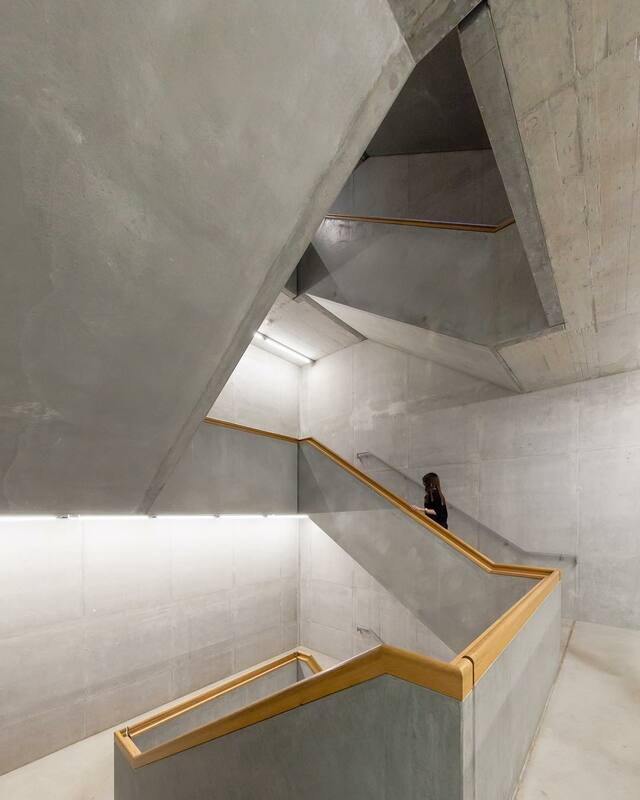 In addition, the architects have recently completed Lucerne School of Art and Design. Read more here. Description: Stadelhofen Railway Station was the first rapid-transit system to be built in Switzerland. 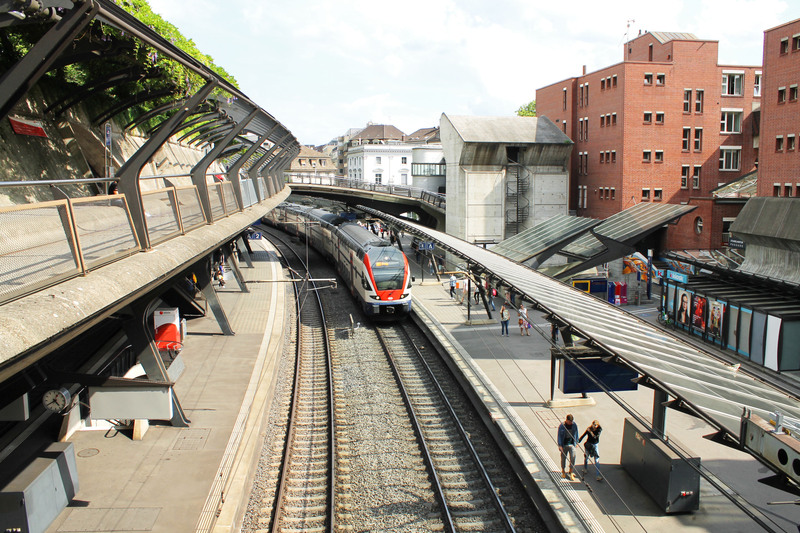 The Swiss Federal Railways commissioned the expansion of the already existing railway station on Stadelhofen Square. A then young Calatrava integrated a third track, a commercial arcade and, perhaps the best, a canopied promenade which is a beautiful continuous section. Other aspects of the complex such as bridges, stairs and elevators blissfully connect all parts of the project. Read more here. Description: This unassuming Credit Suisse building on Bahnhofstrasse hides one of Zürich’s most special courtyards. It was designed in 1930 by the Pfister brothers in conjunction with Otto Münch, who was responsible for the ornate façade. Other nostalgic and wonderful buildings by Werner and Otto Pfister are the Schweizerische Nationalbank and the Kantonale Verwaltung Walche. Read more here. Description: When Zürich Hauptbahnhof opened in 1871, it was the largest railway station in Switzerland. The magnificent sandstone neo-Renaissance building awed its citizens and was a symbol of power and progress. Since then, the station has seen people coming and going. In 1990 it was restored to its full splendour. 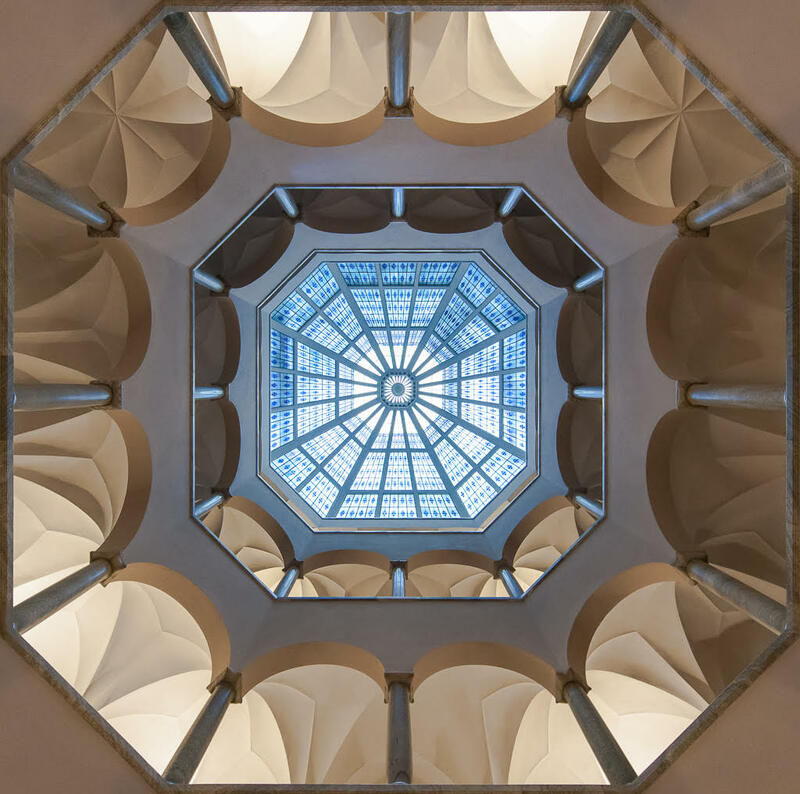 Don’t miss the temporary art installations in the richly decorated atrium. Read more here. Description: The historically impressive ewz-Unterwerk Selnau building, which provided the city with electricity until 1998, was transformed in 2001 into a vibrant museum. 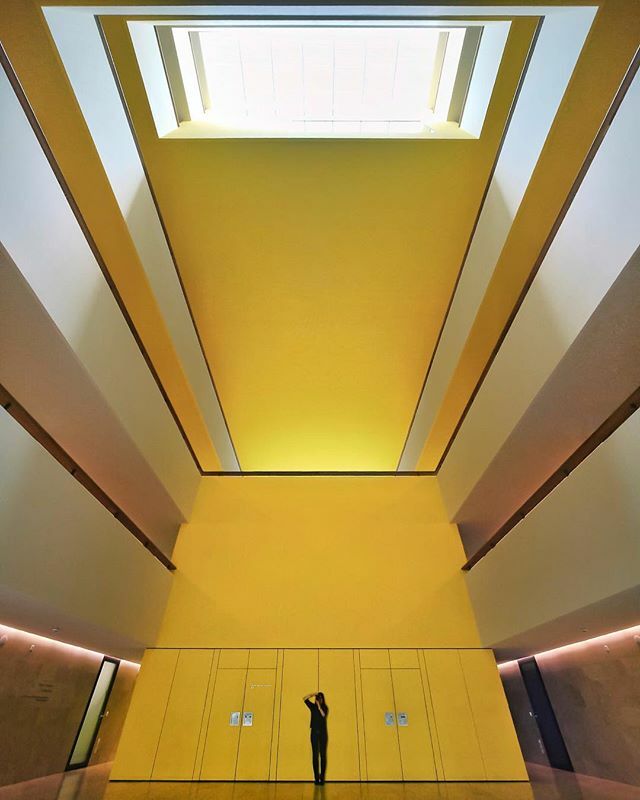 Five floors of exhibition space offer spectacular art. However, the cherry of the cake is the museum’s top floor where the unique exposed metal structure from the 1940s can be spotted and the equally impressive library. Read more here. Description: The newly established Europaallee is a major infrastructural project with is about to be completed. It runs parallel to the train tracks and several blocks were allocated to different architects. Construction Site A, directly behind the listed Sihlpost building, was an ensemble of three buildings for Zurich’s University of Teacher Education, plus additional office and shop facilities. Read more here. Description: Several awards now crown MFO Park, and experimental and always growing project to the north of Oerlikon railway station. 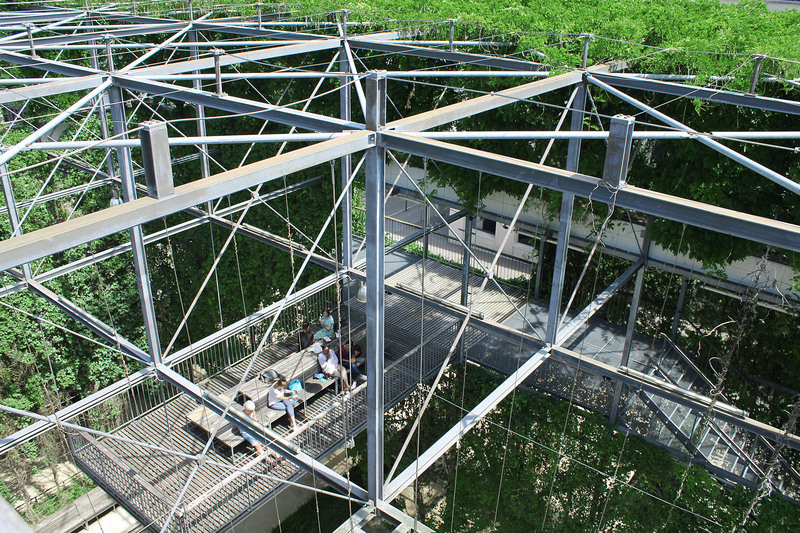 Located on the former site of a locomotive factory named Maschinenfabrik Oerlikon (MFO), the structure of the park reframes the original building footprint. The spacious metal hall is enveloped by sumptuously sprawling plants and open on three sides. Read more here. Description: The historical Department of Earth Sciences at ETH Zürich has remodelled its courtyard to exhibit an interactive mineralogical and geological collection. The brightly lit courtyard came to life in 2009 when a three-storey tower was added to the space thus opening up a dialogue between old and new. Read more here. Description: In 1993, Freitag started to make tarp-bags. An innovative recycling idea. 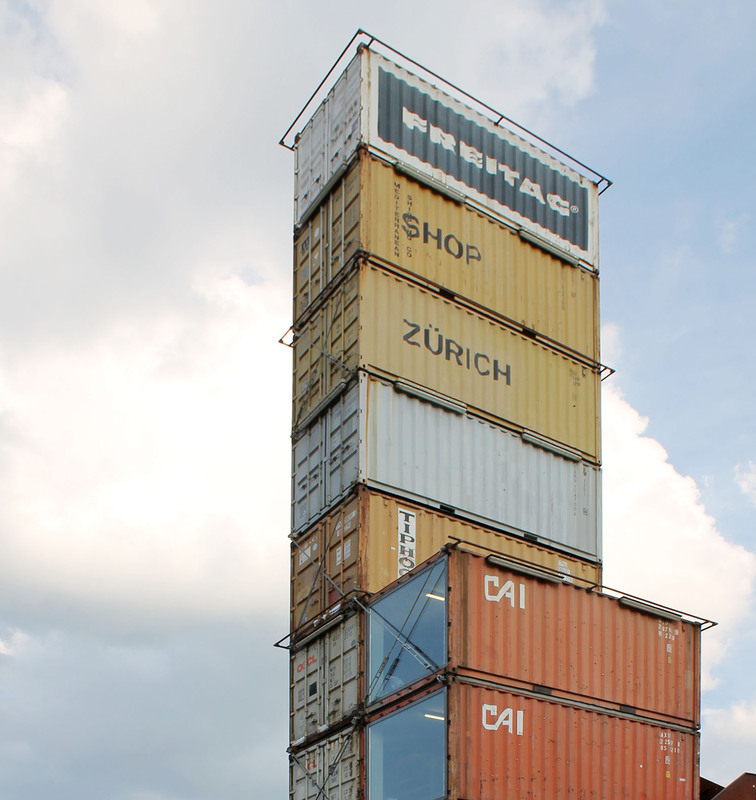 In 2006 they decided to have their flagship store built from 17 rusty, recycled freight-containers, selected in person in Hamburg and brought to Zurich by rail. Stacked low enough not to violate the city’s restriction on high-rise, high enough to send shivers down anyone’s spine. The way the elements are stacked is authentic, and only connecting elements from the shipping industry are used. This also means that dismantling the tower and leaving the site in its original state will be a straightforward process. Read more here. Description: Zürich’s grandiose hotel gem, The Dolder Grand, was designed in 1899 by Jacques Gros. More than a hundred years serving its customers it got a facelift. Whilst the external fabric was respectfully restored, the interiors have been lavishly enhanced. The most significant move was the rearranging of the entrance to the south, which now welcomes guests with breathtaking views across Zurich and the Alps. The new building consumes half the energy of the old (75% less energy per square meter). Read more here. 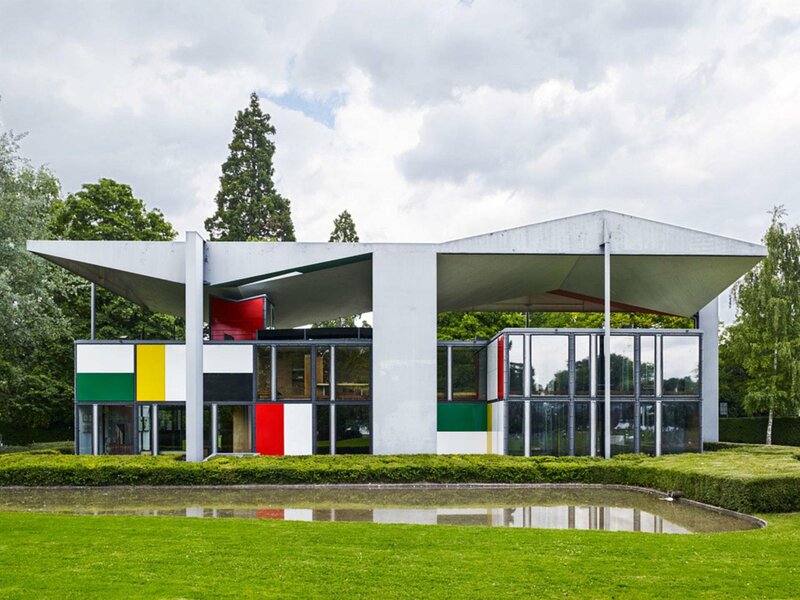 Description: Le Corbusier’s last building, Heidi Weber Museum, was built in 1967. The Swiss born architect was obsessed with systems and modules and this last structure was based on cubic units of 2.26 meters on each side, created according to the Modulor measures. It celebrates the use of steel, with which he explored prefabrication and assembly, and a freedom through modularity, in which the plan is completely open but infinitely adaptable. Read more here. Description: When Christian Kerez finished this primary school in Leutschenbach, he was making history. The learning facility offers a completely new dimension for learning. From the gym located on the top floor (instead of submerged under the earth) to the lack of hallways (all the classrooms open on to large recreational areas that can also be used for teaching activities), Kerez has reinvented the form and function of schools. Read more here. 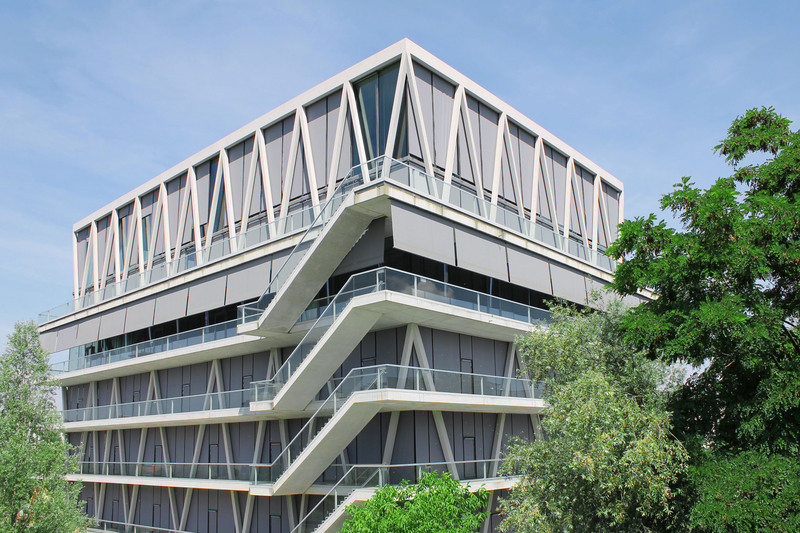 Description: Named after ETH Zürich alumnus Branco Weiss, who supported the building financially, this laboratory with a Miesian façade is at the top of green structures. 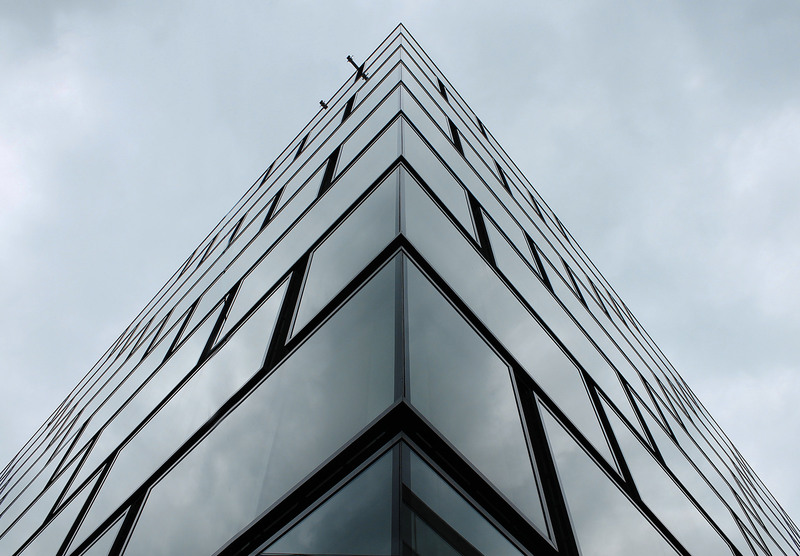 The façade is a contributor to the building’s climatic properties; sensors respond to the weather and the height of the sun. 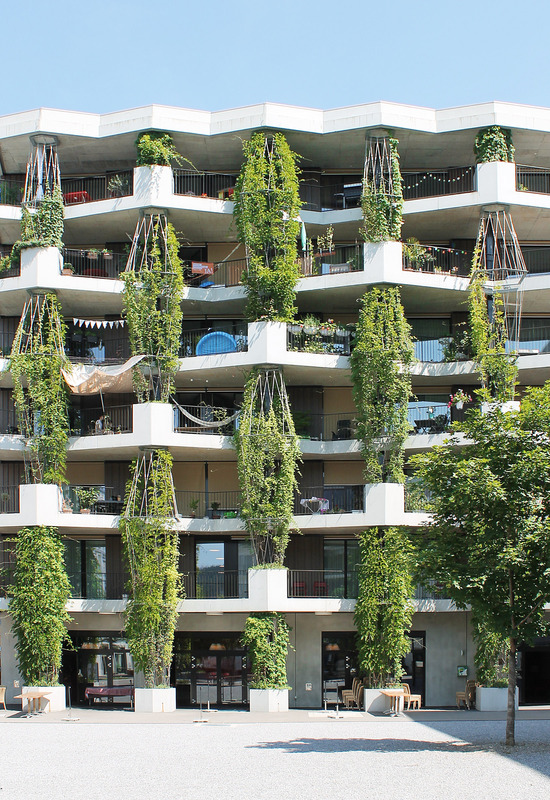 The depths of the balconies differ depending on their compass direction, so they also act as sunshades too. Read more here. Description: Not only were the site constraints unique (the residential and commercial needs were to be located above a tram depot), but the housing program included different forms of living with high ecological and social standards. The polygonal shape of the building was created around a main public square with is also connected to a continuous and open roof space accessible to its residents. The flats are minimal thanks to a thoughtful process that removes the areas of a house that can be shared and puts them in the common rooms (laundry, gyms and even guest rooms). Read more here. Tags: Architecture, Drone, Drone Photography, Photography, Swiss, Switzerland, Travel, Visit Zurich, Zurich. Bookmark the permalink. Virginia, great advice and images. I was there for a quick drive across the border. Happy travels to you. Fabulous sunny day here in London in fact 🙂 From where are you writing today?